Console of Gary Klechowitz's 2/11 Wurlitzer, originally installed at the Sheboygan Theatre. Since the early 2000's, Gary Klechowitz had been laying the groundwork for the installation of a theatre organ at his home. 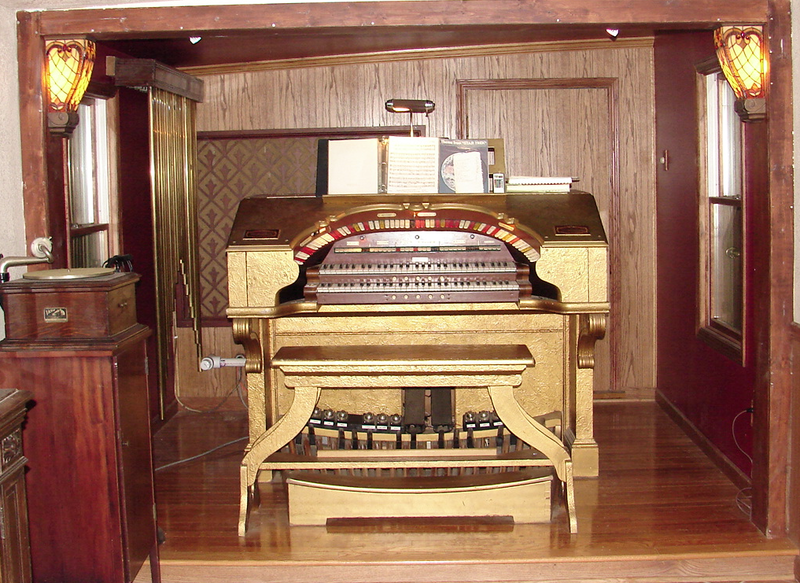 Around 2007, Gary learned of availability of the two-manual gold gesso console of Wurlitzer Opus 1828, originally installed in the Sheboygan Theatre, in Sheboygan, Wisconsin. This provided the spark needed to start acquiring more parts, and led to the purchase of a Wurlitzer Glockenspiel and Tibia Clausa. Soon after, Gary was able to purchase a relatively rare Wurltizer residence scale Clarinet, along with a Kinura, and a wonderful Kimball Tuba Horn, which speaks with definite authority! 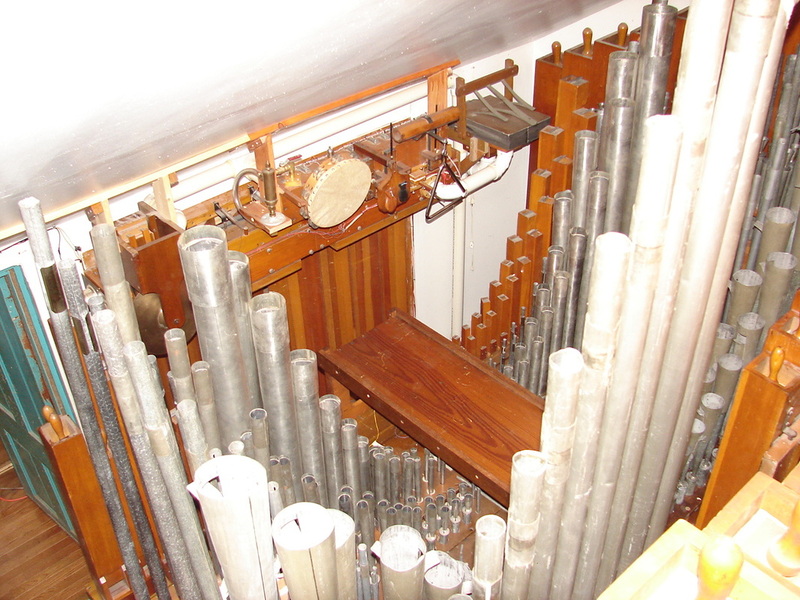 A blower, xylophone, chrysoglott, and more parts were located, and with special assistance from friends and Land of Lincoln Theatre Organ Society member Rob Riley, the organ played! Al Gruling, Duane Austin, and Gary Bieck also were of great help in bringing this project to fruition. DTOS has enjoyed many socials and events at “Gary K’s” home, with the wonderful sounds of this very sweet-sounding and fun instrument! A view inside the chamber.